This idea came across the NMSL e-mail list a few months back. 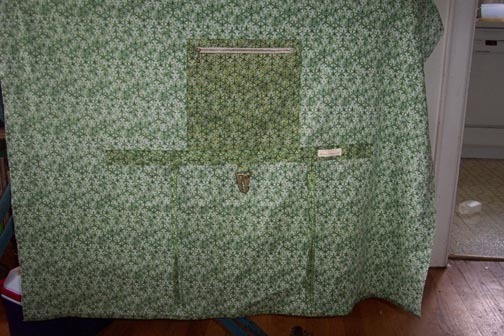 First, I decided how wide and long I needed to make the window for the zipper. 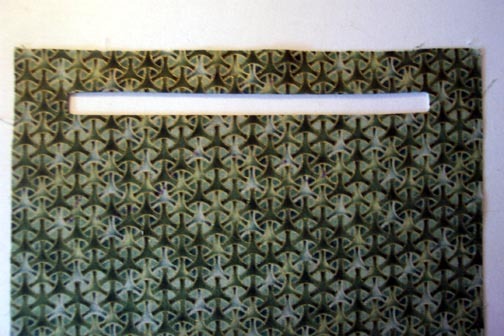 This one is 3/8" wide, and about 7 1/8" long. 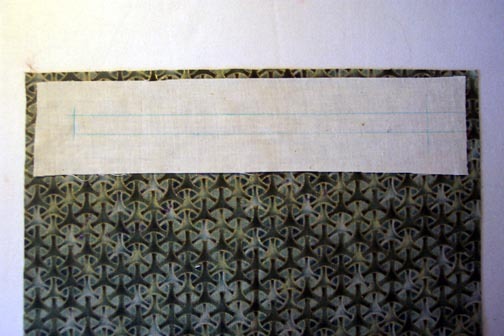 I then stitched around the box (shortening my stitches for the corners), and slashed and clipped to the corners. Now turn and press, making your window. 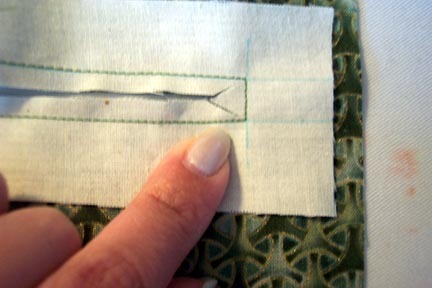 Then, edgestitch the zipper into the window. 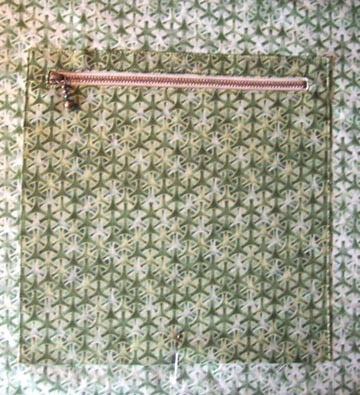 Here I've sewn the pocket onto the sling, on three sides. The accessory bar will close the bottom of the pocket. The finished pocket and accessory bar. notes: next time, I will put the pocket under the accessory bar. It gets too close to the rings where I have it now. I might also toy with making the zipper on the side of the pocket instead of the top (with the zipper opening from the top down).